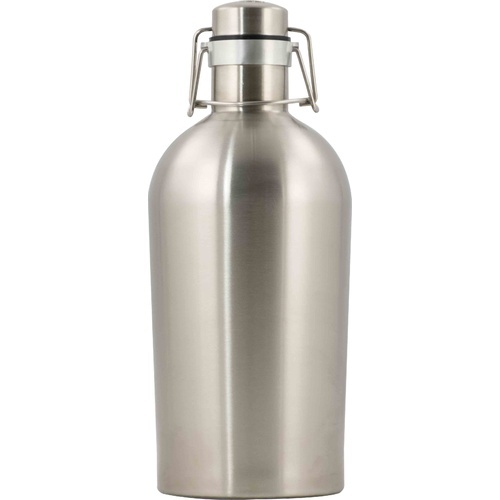 Completely impervious to oxygen and sunlight and made from 304 stainless steel, this growler is one of the best storage options for beer. This growler comes with a double wall vacuum insulation keeping your delicious beer cold for hours. The spring wired lid makes this growler capable of holding up to 30 psi. This is a smokin deal when compared to other double wall growlers. Draft Kit is out now! Decided to get a good growler. This has the conversion kit. Iâ€™d like to have the option to buy the whole conversion kit separately. Needed a large growler. I hate bottles. I was at a party Sunday where one of the other guests brought beer in this Growler. I was impressed with it and decided to buy one as a present for my son who is turning 49 Monday, October 8th. Is this graded to hold pressure? Can you bottle condition in it? BEST ANSWER: I believe so. Description states "The spring wired lid makes this growler capable of holding up to 30 psi." So, unless one gets crazy with carbonation this should be OK. I do know having the growler filled at local brewpub and opening it a few days later the lid came off with a "pop". Glad the lid was attached with the swing handles. I use this under pressure . It does not have a NSF stamp but the manufacturer does have stamped on the bottom " Not to exceeded 2 Bar (30 psi) " I use this growler as a mini keg for taking to parties or cookouts . Keg King , who makes this item, has a dispenser head that replaces the solid lid with a co2 in and a picnic tap on a short hose. This head does not retain pressure that well for more than a couple of hours but the solid cap has a much thicker gasket and seals better. I have not conditioned beer with this but think it should work for that. never having done it I can't say for sure. I condition and age beer in these all the time. The only thing I would watch for is that the seal is seated properly. Keg King rates the the spring lid at 40 psi which is more than enough for typical carbonation. Anything higher than that and I would seek cover or put on my rain slickers when serving! Yes, it can handle standard beer pressures up to what is considered high carbonation (3-4 volumes CO2). Bottle conditioning shouldn't be a problem. The quality of the growler is good given that it is a SS and double walled. The only issue that I have seen with limited use is, there are two 'set screws' attach the cap to the growler. First issue, making sure that the set screws are tight enough. The second issue is, making sure that where you tighten the set screws is at the correct level so the gasket does not leak either pressure, or liquid. Once I did that, I believe that it will function correctly and hold pressure/liquid. This is an amazing vessel. It's made in the USA. When I ordered it, I was mainly attracted to the size, insulation capability, 30 psi-rating, and super basic function. However, it's so cool in person I am astounded. It looks like a space capsule. Notice that it's wider on the top than the bottom -- very elegant and powerful looking. The cap has Keg King lettering and logo, and the bottom is stamped with a seal and specification lettering. It's so good, this could be entered in a contest with your beer inside. 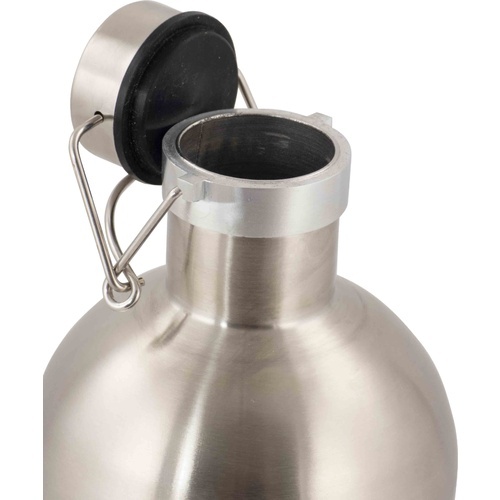 Double walled stainless steel, holds half a gallon and a leak free cap. Stays cold for hours. What more could want? This growler works well and keeps the contents cold.